Good. 1442387807 No major scratches or defects; may not contain online digital copy. Case shows moderate wear. We sometimes source from libraries. We ship in recyclable American-made mailers. 100% money-back guarantee on all orders. Very Good. 1442387807 Very light wear to disc. Case and artwork included but clearly used; may not include online digital copy. We ship in recyclable American-made mailers. 100% money-back guarantee on all orders. Like New. 5 Compact discs in slipcase. Wear to case. Discs in like new condition. Good. Good condition. Audio CD. Case Very Good. Disc slightly scratched. Five disc set. Quality guaranteed! In original artwork/packaging unless otherwise noted. New. 1442387807 BRAND NEW, GIFT QUALITY! NOT OVERSTOCKS OR MARKED UP REMAINDERS! DIRECT FROM THE PUBLISHER! |0.5. HAVEN'T HAD TIME TO READ IT YET VERY THICK BOOK. HE MADE A VERY GOOD PRESIDENT. Very informative and well written. Ten years of research makes for very good reading as are most of David McCullough's efforts. 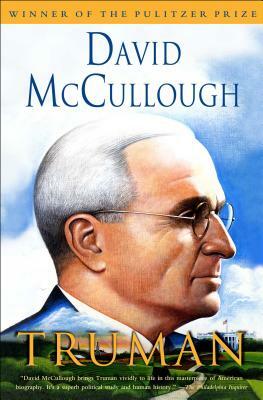 As always, McCullough serves up a richly detailed, historically scrupulous, and consistenty absorbing biography of a President who is often overlooked or relegated to the sidelines. Unreservedly recommended. Well written, highly readable account of Harry S Truman's life and presidency. Highly recommended, eye opening account of recent American history. I suppose most American history is recent compared to Europe and Asia. The next to last honest president we've had. How he got to be that way, and why we were so lucky. This was the man who refused to commercialize the post he had held so well, saying "The Presidency is not for sale."